We are committed to bettering the communities we serve. Through our corporate values, we encourage our employees to support philanthropic programs of their choice through volunteer hours and by matching employee contributions. “Our philanthropic efforts date back more than 50 years to the founding of Regency under Martin and Joan Stein,” said Lisa Palmer, Regency Centers President and Chief Financial Officer. "Giving back is one of our core values." 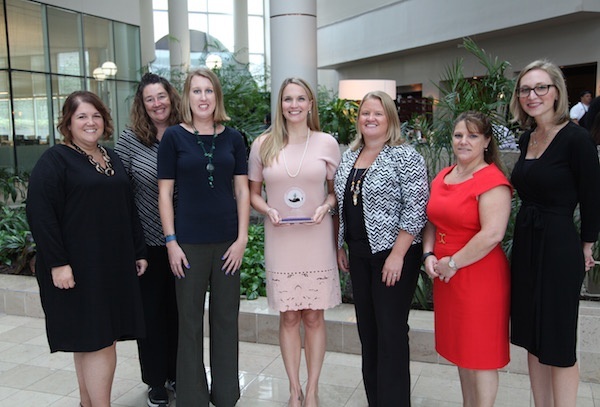 During September's 2016 Partners in Philanthropy awards ceremony, hosted by the Jacksonville Business Journal, Regency was honored for its community efforts in the ‘Large’ business category – companies with 100-499 employees. The award recognizes organizations that devote volunteer hours and millions of dollars to active First Coast non-profits. If you totaled all of the dollars and hours from the 2016 honorees combined, there has been more than $10 million contributed, and multiple years’ worth of community service hours volunteered. In 2015, our employees generously donated the largest amount of money in Regency’s history to United Way, with an average contribution of more than $1,100 per employee. This year 63 Regency employees took part in Habitat for Humanity’s Home Builder Blitz, which included the construction of 2,000 area homes in less than one month. Volunteering provides our employees an opportunity to bond outside of the office, and serves as great team-building exercise. We are proud of our combined giving efforts and continue to look ahead to a strong finish in 2016. 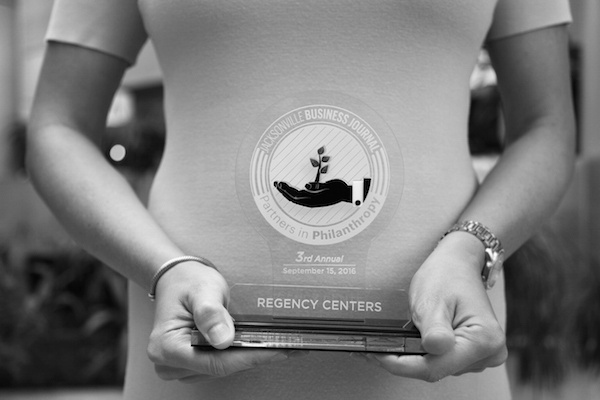 For more information about our philanthropy program, please contact philanthropy@regencycenters.com.